The Devon Allman Band will take the stage at 9 pm tonight! Tickets are still available for $12 from the Daily Grind, Woodall’s Music or online HERE. … Tickets will also be sold at the theatre’s box office for $15 each beginning at 8 p.m. (while supplies last). 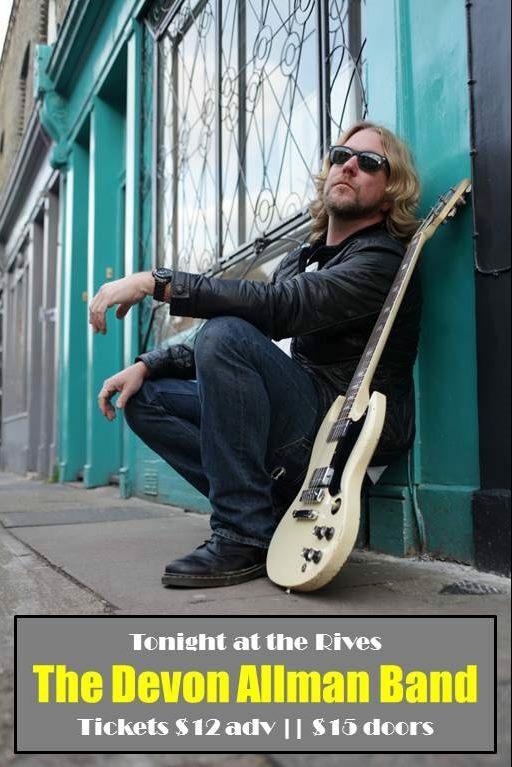 ← Devon Allman Band this Saturday!